• If branches or trees on your property (the tree belongs to you) fall on the electrical wires linking your home (electrical connection) to the Hydro-Québec network, you must call a pruner. Visit www.siaq.org to find a pruning professional. If the damage was caused by a tree that does not belong to you, contact your insurance companies who will tell you what to do. • If branches or trees touched electrical wires and are within 3 metres of the Hydro-Québec network, you must contact Hydro-Québec at 1-800-790-2424. • If branches or trees on your property fall (the tree belongs to you), it is your responsibility to communicate with a pruner. • The next branch pick-up will begin next Monday, April 15th. It will run from East to West of the city. • Because of the large volume of branches, the operation will last several days. Do not forget to leave the branches at the edge of the street. 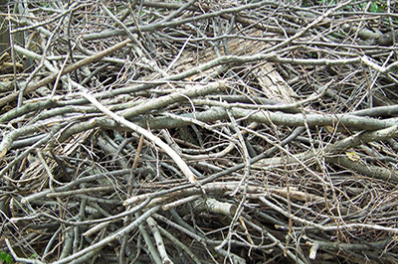 If the branches (the tree belongs to you) are too heavy to move, you must call a pruning company. • Stack branches so that they are aligned in the same direction (the largest end of the branch towards the street), with a maximum of 5 feet in height. • Place large pieces (logs and stumps) separately from branches. • Next branch pick-up: May 20, June 17, July 15, August 19, September 16, October 21 and November 18. Finally, remember that in an emergency, you must contact 911. Thank you for your understanding and stay safe!